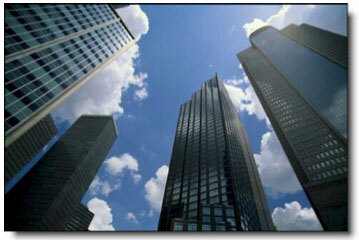 Non-traded Real Estate Investment Trusts are public companies, but their shares are not listed on any stock exchange. This makes non-traded REITs a very private market with less liquidity but also less volatility than there public counterparts.. When investigating non traded Real Estate Investment Trusts investors need to be careful that the non traded REIT are not paying dividends from borrowings and capital as opposed to funds from operations like they should be. Non-traded public REITs are proving to be a popular new source of investment capital for the commercial real estate industry. Created more than 30 years after the REIT Act of 1960, non-traded REITs were born out of the limited partnership industry. Shares in these firms are marketed to individual investors via financial intermediaries, including registered broker/dealers and financial advisers. It is estimated that that the total assets under management for all non-traded REITs represented 20-25% % of the total market capitalization for all publicly registered REITs. This is up from just 3% 10 years ago so clearly this is a rapidly growing market. While one of the drawbacks of non-traded REITs is that they have relatively limited liquidity, they do still offer some of the same benefits as their publicly traded counterparts. In fact many investors view a benefit of non-traded REITs is that they are not yet publicly traded. Subsequently, they offer the reasonably predictable cash flow of publicly traded REITs with less of the volatility expressed the public markets. Non-traded REITs also do receive the same tax benefits as publicly traded Real Estate Investment Trusts. By meeting certain requirements for taxable income distribution to shareholders, the Real Estate Investment Trust itself is not taxed, thereby reducing tax on the potential return on the investment, unlike traditional stock investing. Since there is less volatility in non traded REIT’s investors also have a greater potential for gains. The other advantage of purchasing a non-traded REIT is the hope that the after the initial purchase the REIT company may eventually do a public offering on a stock exchange. In this event it gives the investor a chance to sell shares with out paying a recapture tax on the dividends. This is particularly key for a high net worth investor. The other big benefit for traditional real estate investors is that a non-traded REI also will allow 1031 investment property exchanges to fund the investment. For real estate investors seeking ways to diversify traditional stock or real estate portfolios, REITs offer an attractive alternative. But diversification is only part of a well-designed financial plan. Risk management, or reducing portfolio volatility, is just as important. Non-traded REITs can achieve both of these goals. One reason is investor demand for non traded REIT’s is is forecast to remain strong is steady returns. Yields from non-traded REITs have performed better than publicly traded offerings. 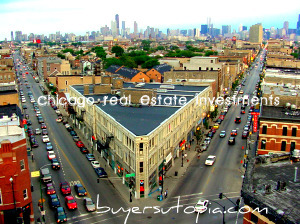 Behringer Harvard Multifamily REIT I, Inc.
Cole Credit Property Trust, Inc.
Cole Credit Property Trust II, Inc.
Grubb & Ellis Apartment REIT, Inc.
Inland Western Retail Real Estate Trust, Inc.
KBS Real Estate Investment Trust I, Inc.
RREEF America REIT II, Inc.
RREEF America REIT III, Inc. 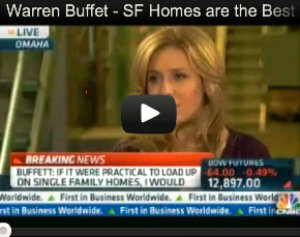 I agree that non-traded REITs can be a very good investment, especially if you aren’t looking for a quick payout. I’ve heard of a few of the companies listed. I recently read that Cole has acquired office real estate in Oklahoma, New York and Nebraska and also some retail real estate in Florida.